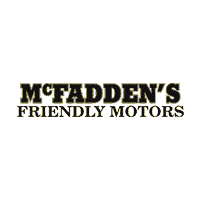 At McFadden Friendly Motors Chrysler Dodge Jeep Ram we make purchasing an automobile easy! From actual pictures that allow you to see what your really buying, a transparent internet sales manager and sales staff that give you all the facts and let you make your own decision, to a talented finance department that will work hard to get you the best financing terms regardless or how good or bad your credit is! At McFadden Friendly Motors, we strive to provide you with the best quality vehicles for the lowest possible price, and this Renegade is no exception. This vehicle has been quality inspected, serviced and is sold with warranty! So stop in, call or click today before this great value is gone!!! See our entire inventory at www.mcfaddenfriendly.com!